Learn more about Accessory Dwelling Units in Los Angeles + California. Download a free financial projection for building and renting out an ADU in these areas. 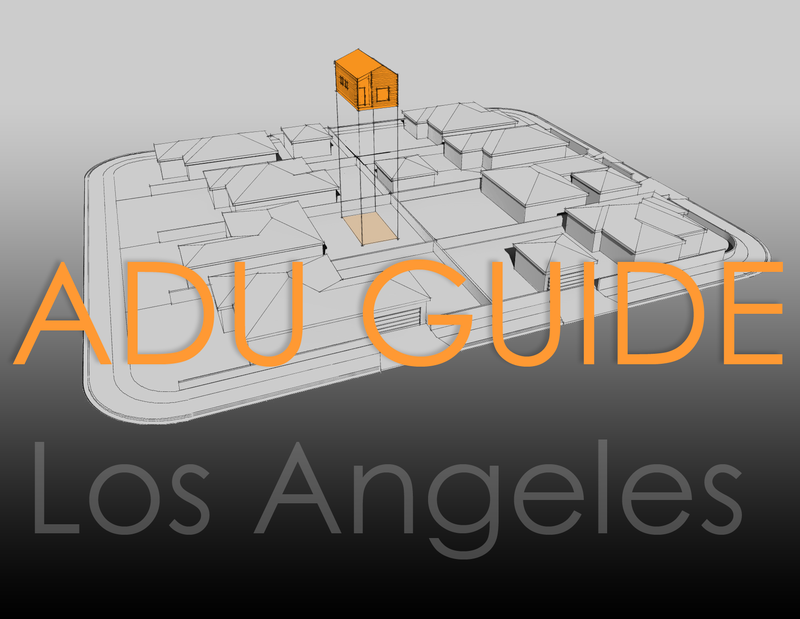 Our comprehensive ADU Guide for Los Angeles is complete! Published in Feb. 2019. Download this free "how-to" guide now. What services does Modative provide for ADUs? Why does Modative provide semi-custom ADU designs instead of fully custom designs? Why should I work with Modative? Where is Modative currently building ADUs? 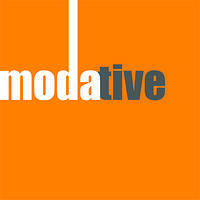 What is the process with Modative? How do I get started? How long does it take to permit and build a Modative ADU? How do I know if an any of Modative's ADUs fit on my property? Does Modative work on attached ADU’s? Does Modative assist with converting an illegal ADU to a legal ADU? Does Modative do garage conversions? What if I want to remodel my home while we’re working on the ADU? Does Modative provide ADU financing? How much does it cost to build an ADU? How long does it take to build an ADU? What are the ADU rules where I live? What if I have an existing detached garage in my yard? What about building an ADU above my existing garage? 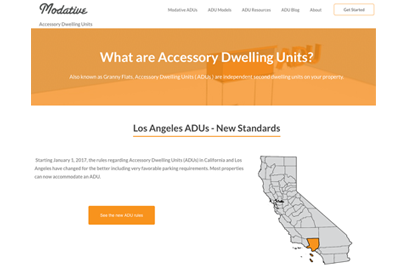 What are ADUs? What are the rules? Learn about ADUs and why one of these backyard homes may be a great opportunity for you. We're staying on top of the latest updates to ADU, rules, regulations and ordinances to help you determine if an accessory dwelling unit is a viable option for your property. Our website is a great place to start! Full of Accessory Dwelling Unit resources. We handle the rest. From design, to permitting, and construction, our expert team will bring your ADU to reality. See if our ADUs can work for you. Get started now.